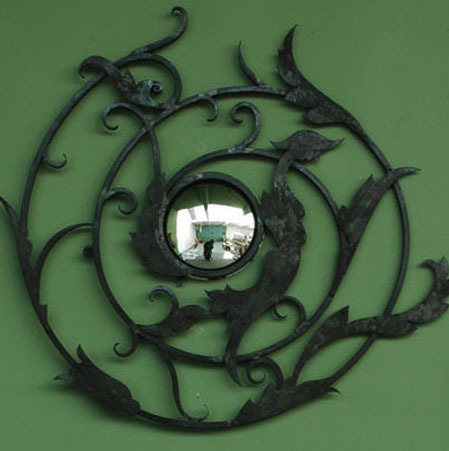 “Tournesol” Witch mirror (convex glass) in wrought iron : Dimension : Diam. = 35cm approx. “Herbes” Witch mirror (convex glass) in wrought iron : Dimension : Diam. = 90cm approx. 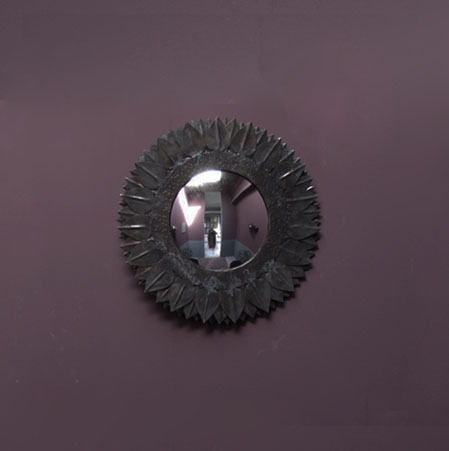 “Chardons” Witch mirror (convex glass) in wrought iron : Dimension : Diam. = 50cm approx. “Ecailles” Witch mirror (convex glass) in wrought iron : Dimension : Diam. = 65cm approx.